The manager of over $6 trln of assets saw inflows plunge 80 pct year-on-year in the second quarter as clients slashed stock holdings. Vanguard is also pulling in less money. Rivals have chafed at the duopoly’s dominance, but this weakness should send shivers up their spines, too. The company logo and trading information for BlackRock is displayed on a screen on the floor of the New York Stock Exchange (NYSE) in New York, U.S., March 30, 2017. 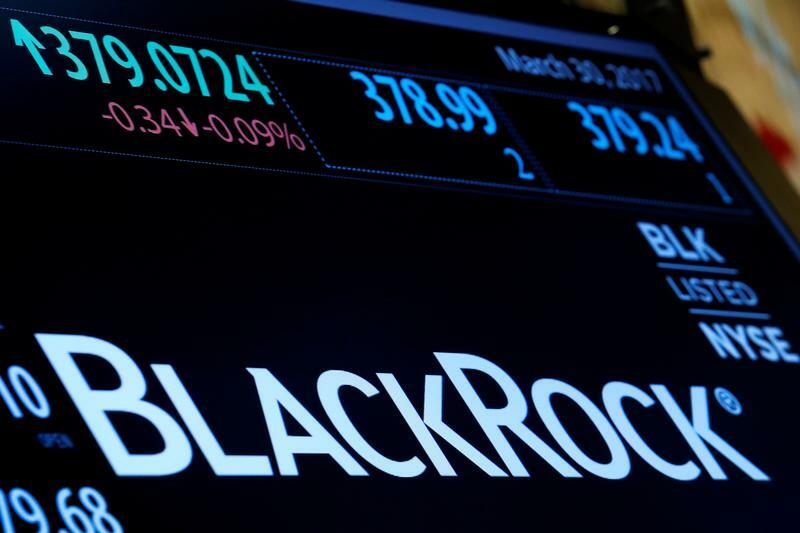 BlackRock on July 16 reported that net asset inflows totaled $20 billion in the three months ended June 30, off more than 80 percent from the same period a year earlier and down nearly two-thirds from the previous quarter. At $14.5 billion, inflows of long-term assets were down 84 percent from a year earlier. The company earned $1.1 billion in the latest quarter, up 26 percent from the same period a year earlier. At an adjusted $6.66 a share, earnings exceeded the consensus analyst estimate of $6.55, according to Thomson Reuters I/B/E/S. Revenue for the quarter rose 11 percent to $3.6 billion.